Pearland is a city in Texas. According to the census of 2010, the population of Pearland was 91,252. Pearland has become the fastest growing city in the USA. The job market of Pearland is growing stronger with its population in the number of jobs jumped from 9,200 to 17,552 in 2008. The labour force of this city is around 45,700. And the majority of this labour community contributes to the Texas Medical Centre. The medical field of Pearland is very strong and growing rapidly. Here the emergency dental service is strong and vast. If your toothache is unbearable, then there are lots of options that you can check out. Emergency dental practices have only been popular recently, but their contribution to society has been pretty vast in the past few years. 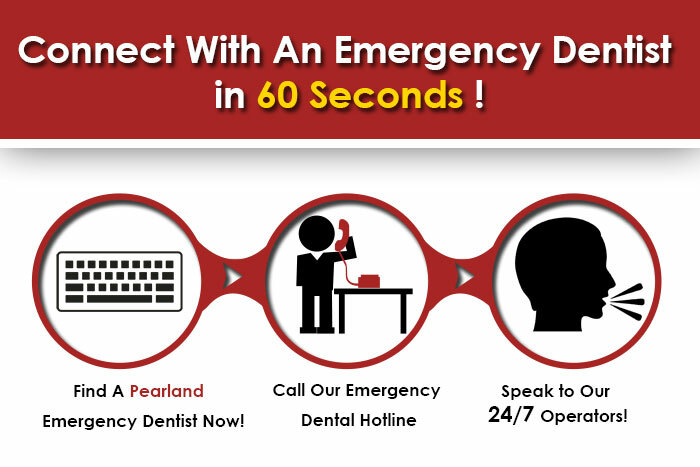 Emergency dentists in Houston city area are available at any time of the night and day. They are also open during the weekends, which is an important factor to note, as there are many people who work during the weekdays and cannot change their schedule just to pay a visit to their dentist. They usually have very qualified and talented doctors who have years of experience so that they can tell what a problem is just by the looks of it. Emergency dental clinics offer all kinds of services that can come in handy when recognising a common problem that might have taken a long time for someone who is inexperienced. Emergency dental care helps people who are in dire need of assistance and guidance throughout their suffering. Dental services include cleaning, examinations, dentures, sealants, fillings, root canals, porcelain crowns, bridgework, prosthetics, custom mouth guards, anti-snoring, treatment, periodontics, implants, oral surgery, cosmetic services whitening, bonding, veneers, etc. They have a personalized staff who take good care of their patients and they have good doctors who are qualified in dental practice and dental work. They solve common dental injuries like biting lip or tongue, tooth knocked out, object caught between teeth, suffering tooth pain, etc. They provide all the ordinary dental services and a lot more. Call at (832)-895-5127 or visit them at 2443 S Galveston Ave, Pearland, TX 77581. Made Ye Smile has dentists who are experienced in dental care and services. Their team of staff members is super friendly and helpful. Offers include invisalign, denturists, tooth ventures, dental veneers, tooth whitening, crowns, root canal therapy, dental implants, etc. Call them at (281)-885-8162 or visit them at 11021 Shadow Creek Parkaway, Pearland, TX 77584. The services of the Accent Dental Group include wisdom tooth extractions, endodontists, tooth whitening, cosmetic dentistry, periodontists, oral surgeons, denturists, lumineers, orthodontists, crowns, tooth veneers, fillings, root canals, dental implants, tooth extractions, etc. Call them at (281)-997-0100 or visit their clinic at 6915 Broadway, Pearland, TX 77581. They will be sure to provide a satisfactory service. Are you looking for a walk in dentist in Missouri City, TX?